Organization. Tags for individuals, organizations, deals and activities in SalesSeek. 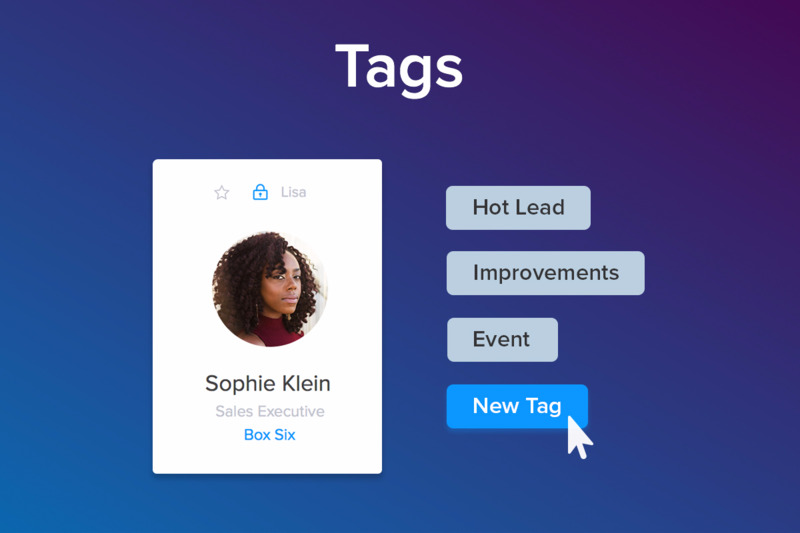 Tags are designed to make it easier to search, filter and sort through your contacts (individuals and organisations), deals, and activities in SalesSeek. For example, a sales manager wants to be on top of the large opportunities their team is working on. 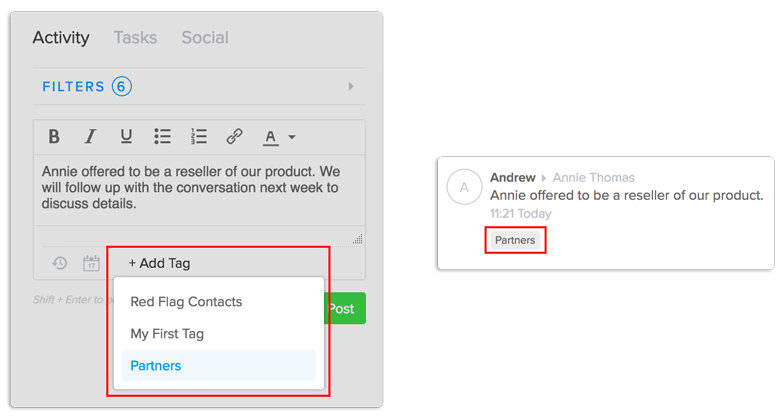 The sales team can tag deals worth +£100K which will trigger a new task or email notification. How can you do this? Tag the records. 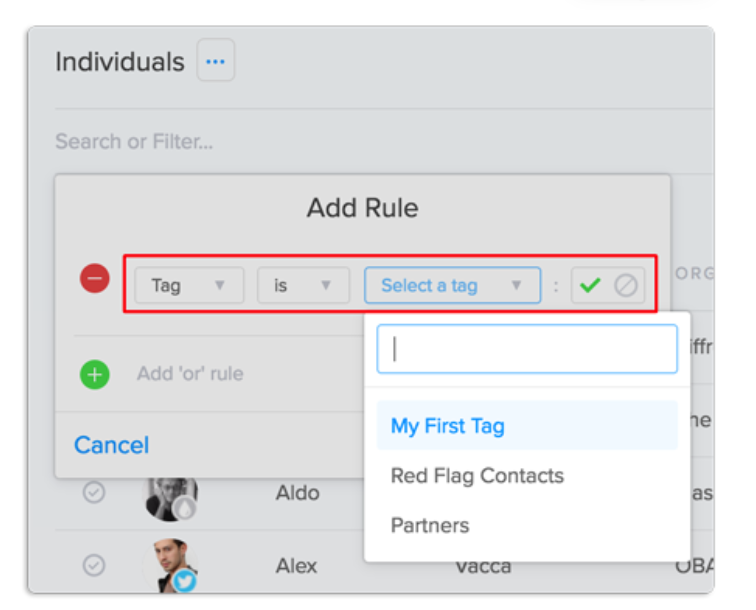 Create a Smart Group with that tag filter. Now it's time to set up a new automation, save it and run it. 3. Use Tags for simple internal communication. Customer requests, improvements, categorization of communication. Perhaps your customers are looking for new product features or are waiting for some customizations. Instead of sending an email, just add a tag to an activity note. Your team can easily create an entire list of the improvements requested using a Smart Group with a tag filter, which gets updated automatically. Organize your tasks by High priority, Medium priority, and Low priority tags. *Tags in Tasks will be released in the coming weeks. You can tag specific contacts or organizations in order to let the rest of your team know who should be contacted before continuing communication. Go to App Settings > Tags. Click on the right-hand corner button: New Tag. A pop-up window will open to create a new tag. Click on the Save, et voilá! Your first tag has been created. 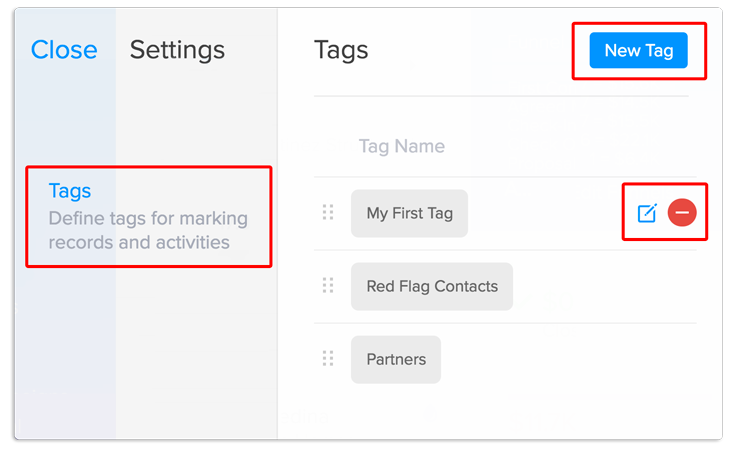 Once you've created your first tags and added them to your records you can easily filter your data. On the Activity Feed, you can select the tag icon. On contacts and Deals just apply our smart filter: Advanced Filter > Tags. Are tags available in Bulk Edit? Yes! Tags are available in Bulk edit. Find more info here. Are all my tags updated across the system when I edit a tag? Every time you rename/edit a tag in the App Settings, they will be automatically updated across the system. How do permissions work with tags? 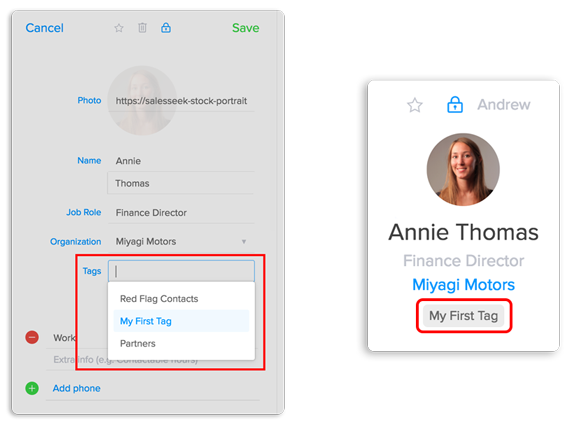 Tags are visible to all users in your SalesSeek account. Providing you have edit permissions you can always tag in those records. Only administrators can create / modify / delete tags from the Settings panel. Got a question? Just ask us on Intercom!